Amy Heidemann and Nick Noonan of Karmin. 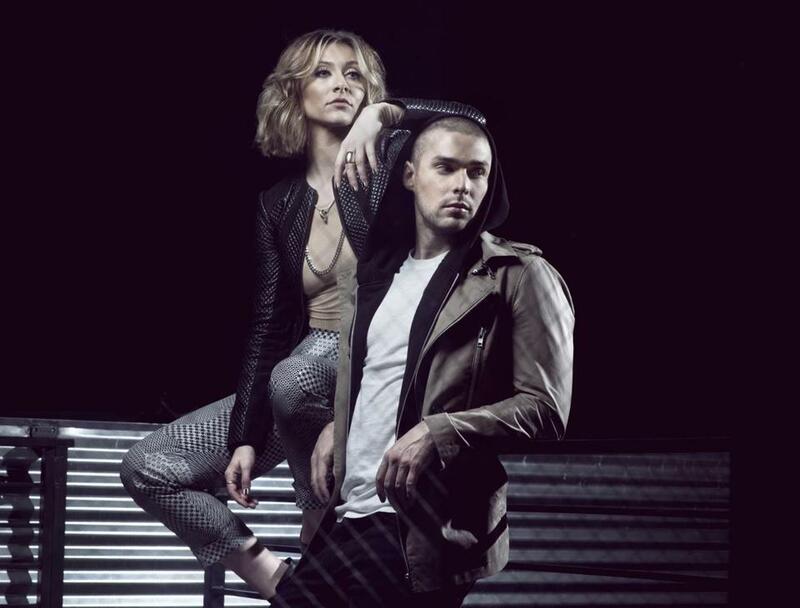 When a simple video of a boxing-gym employee and a wedding singer rolling through a bare-bones, live-take version of Chris Brown’s “Look at Me Now” went hugely viral back in 2011, Karmin officially made the leap into the pop arena. The duo signed with major label Epic, enjoyed two hits (“Brokenhearted” and “Acapella”) whose respective platinum and gold sales belied their deceptively middling chart performance, and collaborated with a bevy of established hitmakers. And that’s where Karmin admits that its own weaknesses started turning into a trap. In Karmin’s case, that means something of a return to how the group started in the first place. Where the number of contributors in the songwriting and production credits of “Pulses” and 2012’s “Hello” could be dizzying, Noonan is producing the upcoming “Leo Rising” alone. The difference is striking. Despite a relatively minimalist template (largely just pulsing synth bass and rhythmically layered drum thwacks) lacking the production flourishes that gave Karmin’s previous releases their turned-to-11 punch, the new “Didn’t Know You” manages to sound bigger and more three-dimensional than the group’s ever sounded. It’s especially true of Heidemann. Listening to “Leo Rising,” it’s hard not to get the impression that you’re hearing her voice for the first time. “One of the biggest things we wanted to do was to get rid of the Auto-Tune,” she says. The result is a bracing new directness to her vocals that scrubs away the candy coating of earlier hits. Moments like that seem to have justified Karmin’s decision to jump ship from Epic. The astrologer who advised them on their departure — “He told us the way that he thought we should get out, and it worked, like, crazy accurately,” says Heidemann; “Literally to the day,” adds Noonan — sparked an interest in the zodiac that gave “Leo Rising” its organizing principle. Each of the 12 songs corresponds to an astrological sign, with the title position taken up by “Pure Imagination,” in which Karmin’s own verses are affixed to the chorus and bridge of the “Willy Wonka & the Chocolate Factory” song. “The king sign,” says Noonan. “Everyone loves him. He’s the center of attention.” It’s something that a duo that grabbed pop music’s ear by demanding “Look at me now” can understand. And Heidemann isn’t willing to let go of that innocence just yet.